An exceptionally calm and contemplative hotel and resort conveniently located on a hill slope at the northern part of Chaweng Beach. Opposite the Chaweng Lake. Baan Kao Hua Jook is only a short walk from the white sandy beach of Chaweng as well as all the shopping, dining and entertainment venues while being in a quite area. Baan Thai also offers transfer service to your convenience. Our apartments are comfortable, affordable and practical for long-term/short-term travelers to this island paradise. They overlook both Chaweng Beach and the Lake. 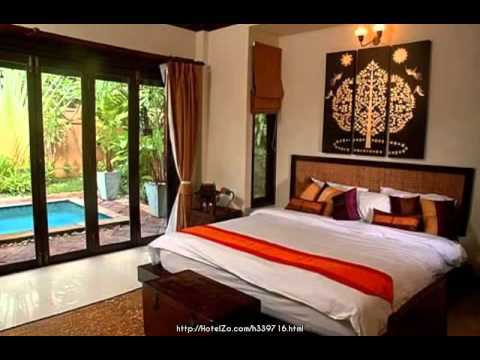 Baan Kao Hua Jook offers you seven high class villas with private Jacuzzi and a lush tropical garden in a walled compound. All of the villas are fully furnished and beautifully decorated and architected. They are equipped with a Satellite (UBC) TV in the living room and another one in the spacious bedroom. All rooms are fully air conditioned. You will find the built-in kitchen counter with fridge, mini bar, microwave and coffee/tea facilities indispensable for your daily life.